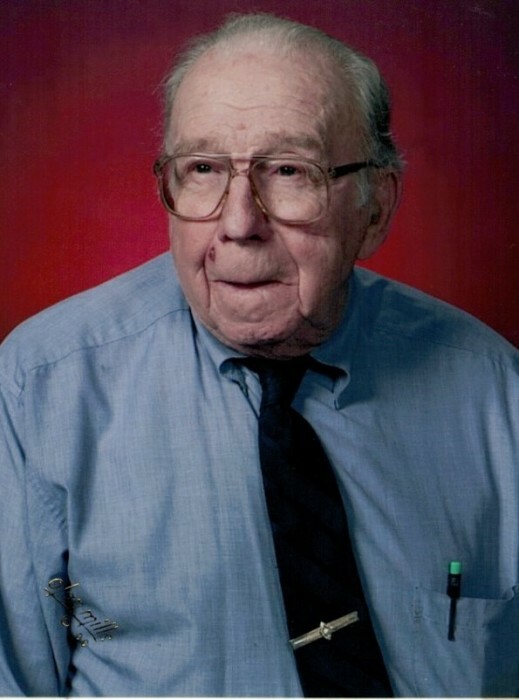 Anthony “AJ” Joseph Samer, 99, of Pilot Grove passed away Tuesday March 19, 2019 at the Missouri Veteran’s Home in Mexico, Missouri surround by loving family. Visitation for AJ will be Sunday March 24, 2019 at Howard Funeral Home from 2:00-4:00 p.m. with rosary before beginning at 1:30 p.m. Services will be at St. Joseph Catholic Church in Pilot Grove on Monday March 25, 2019 beginning at 10:00 a.m. with burial to follow in St. Joseph’s Cemetery. Anthony “AJ” Joseph Samer was born June 24, 1919 in Pleasant Green, Missouri, the son of Anton Peter Samer and Mary Agnes Curran. AJ married Velda Marie Smith in 1950, she passed away in 1993, he then married Francis Wolfmeir. AJ was veteran of World War II. He was always involved in the community, a member Range Riders Association, FFA Alumni, American Legion, Lions Club, 4-H Club project leader, Cooper County Fair Board, Knights of Columbus and 4th degree Knight and American Red Cross. He also enjoyed farming and being outside. AJ is preceded in death by his parents Anton Peter Samer and Mary Agnes Curran, Velda Marie Samer, son Bernard James Samer, sister infant Helen Margaret Samer, Francis Samer, Agnes Samer and step- grandson Jordan Craig. He is survived by his daughters Mary Margaret (Johnny) Craig, Kathleen (Vaughn) Pollard, Janet (Paul) Milne, Emma Nicholson of Kansas City, sons Joe (Linda) LaRue of California, Ed (Pat) LaRue of Arizona grandchildren Hannah Gerke, Evalena Johnson, Kim Schaefer, Kurtis Craig, Jennifer Samer, Joseph Samer, Bethany Girard, Heather Lang, Holly Lang, Courtney Pollard, Paula Harmon, Janna Milne, Belinda Lombardo, Robbie Slaton, Amy Felton, numerous great-grandchildren, great- great grandchildren and many cousins.